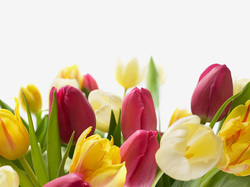 Honor a loved one on Easter Sunday and brighten our sanctuary with beautiful, fragrant Easter flowers. The names of those being honored will be listed in the Easter Sunday bulletin. Choose from lilies, mini-daffodils, mums, tulips, hyacinths for $8 each 6" pot and azaleas for $13 each 6" pot. You may take your flowers with you after the Easter service. All orders are due by March 22; payment should be included with your order. Order forms are also available at the church.